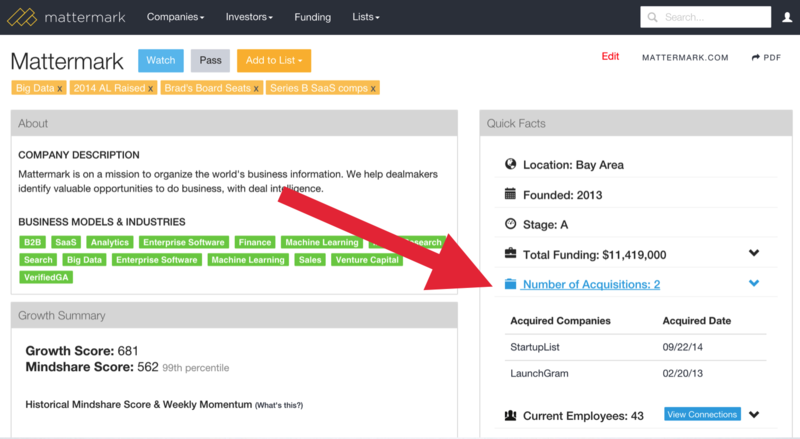 Explore the 58 acquisitions Facebook has made and much more when you sign up for a free trial of Mattermark Pro. 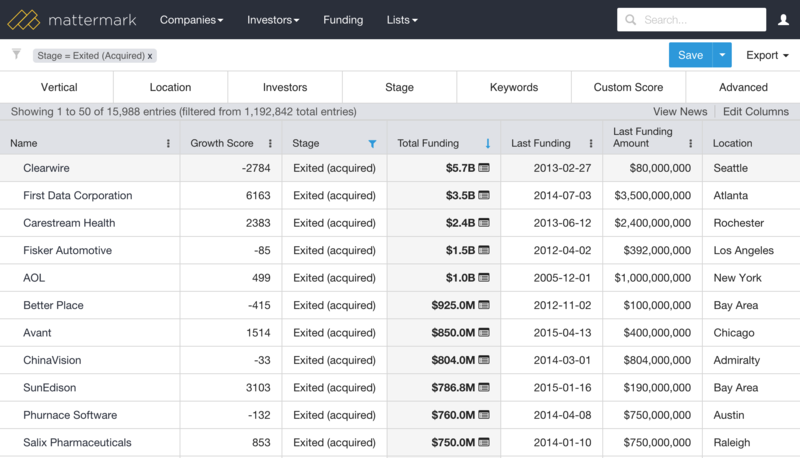 Mattermark Professional users get access to the full list, which can be exported to spreadsheet format for deeper analysis. Get started for free today.